Fruit flavoured E Liquids - fruity cravings demand they are at hand. 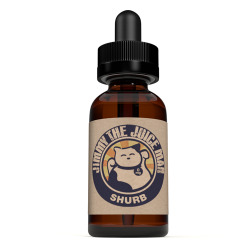 Steam age vape shop has hand-picked a fine selection of fruit-flavoured E Juices to keep your table freshly stocked. Choose from our range of pure fruit flavours: Apple, blueberry, peach, strawberry, kiwifruit, watermelon and mango. Or select one of our fabulous fruit blend selections. Fruit E Liquids There are 66 products. Brain Freeze by Naked 100 E Liquids Strawberry | Kiwifruit | Pomegranate Refreshing on a whole new level, featuring perfectly ripe Strawberries and crisp Kiwi, backed with subtle yet complex Ruby Red Pomegranate essence. All served ice cold with a refreshingly cool menthol finish. Polar Breeze by Naked 100. The perfect tropical refreshment, taking sweet and tart Pineapple, rich Cantaloupe, and smooth Honeydew slices, blending them into an ultra satisfying fruity frozen concoction. Chilled with a dose of menthol. Very Cool by Naked 100 (Menthol) Blueberry | Blackberry | Raspberry Very Cool by Naked 100 takes freshly picked Blueberries, Blackberries, and Raspberries, flash freezes them, blends them, and drizzles a little bit of honey on top. eVo Backwoods Blueberry E Liquid High PG: 50% PG/ 50% VG blend. Smooth, natural blueberry Brave the backwoods to uncover luscious hidden flavours. With the smooth, natural flavour of blueberries picked at the peak of perfection, Backwoods Blueberry will quickly become a favourite in your e-liquid rotation. eVo Cryptic Blast E Liquid High PG: 50% PG/ 50% VG blend. A thrilling assortment of exotic, ripe and juicy berry flavours brilliantly intertwine to create this remarkable masterpiece. eVo Cryptic Blast E Liquid High VG blend. A thrilling assortment of exotic, ripe and juicy berry flavours brilliantly intertwine to create this remarkable masterpiece. eVo Purple Tundra E Liquid High PG: 50% PG/ 50% VG blend. Grape Menthol An intense icy-mint flavour with a gratifying grape finish. Purple Tundra delivers the best of both worlds, combining bone-chilling menthol with the sweet and tangy taste of ripe Concord grapes. eVo Purple Tundra E Liquid High VG blend. Grape Menthol An intense icy-mint flavour with a gratifying grape finish. Purple Tundra delivers the best of both worlds, combining bone-chilling menthol with the sweet and tangy taste of ripe Concord grapes. eVo Grape Lychee E Liquid High PG: 50% PG/ 50% VG blend. Grape Lychee Call it the 8th wonder of the world! Grape Lychee's compelling flavours of crisp, straight-from-the-vine grapes and sweet lychee are transcendent. eVo Grape Lychee E Liquid High VG blend. Grape Lychee Call it the 8th wonder of the world! Grape Lychee's compelling flavours of crisp, straight-from-the-vine grapes and sweet lychee are transcendent. eVo Wild Watermelon E Liquid High PG: 50% PG/ 50% VG blend. Evokes one of summer’s juiciest treats with the delicious taste of ripe, red watermelon. Con The Fruiterer by Vapeboss (30ml/ 65ml E Liquid) A refreshing fruit salad containing Fuji apples, peaches and strawberries ... CUPPLA DAYS! Fully Cereal by Vapeboss (30ml/ 65ml E Liquid) Fully Cereal is the guilt free breakfast vape, it has a FRUITY taste that will straight up LOOP you out! Fun Punnet by Vapeboss (30ml/ 65ml E Liquid) Fun Punnet is raspberry, strawberry, blueberry and mulberry all combined to make the ultimate fruit basket! Grape Boss by Vapeboss (30ml/ 65ml E Liquid) Primary Flavours: Grape, menthol That purple stuff with a cooling menthol exhale. Madrina by Suicide Bunny An enchanting cream base, with notes of melon tucked into every layer. Orange Mango Guava A mouth-watering blend of juicy orange, sweet mango, and luscious guava. Use with low-wattage vaping pod systems. Fruit Menthol Nic Salts Blend of Strawberry, Watermelon, Blueberry, Raspberry, and Menthol. Use with low-wattage vaping pod systems. Strawmelon Taffy by Mr. Salt-E E Juice A candy-coated strawberry and watermelon blend made with only the finest ingredients. Use with low-wattage vaping pod systems. Grappleberry by Mr. Salt-E E Juice A delectable blend of tart granny apples n strawberries. A simple and delicious nic-salts formula, made with only the finest ingredients. Use with low-wattage vaping pod systems.